Anodized aluminium semi opaque - The image refers to the same article in another finish. The box shows the effective finish. 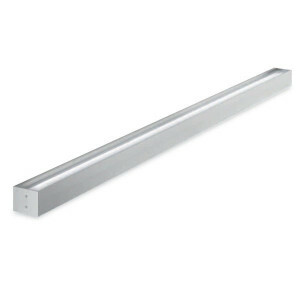 Linear model wall lamp measuring 886 mm. 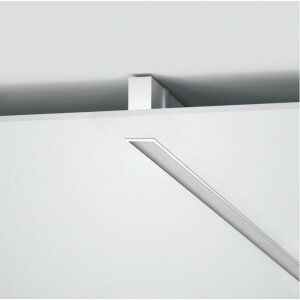 Linear profile, for wall application. This lamp can be used also for emergency light. Electronic transformer included. 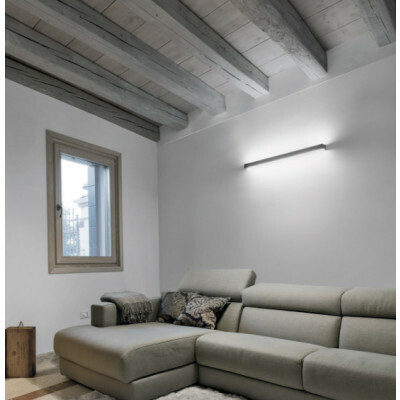 Wall orceiling mounting lighting fixture, by 2845 lenght, for hotel, commercial spaces or offices lighting. Mounting by wall housing. 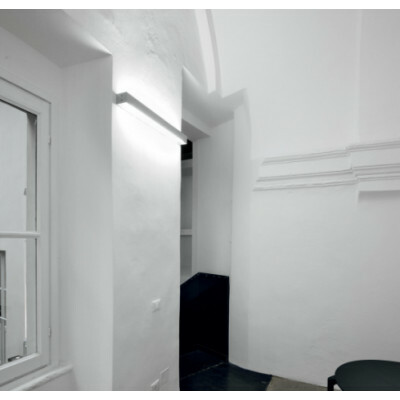 Recessed lighting fixture for false ceiling or brick mounting by means of recessed housing. Polycarbonate diffuser. 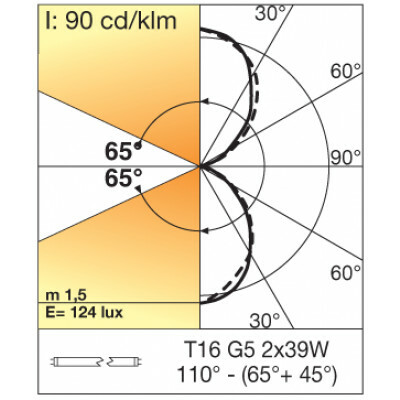 Uniformity of luminous line thanks to seamless T16 pipe. 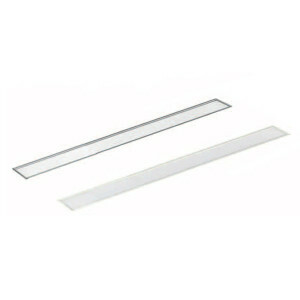 Recessed lighting fixture for false ceiling or brick mounting by recessed housing. Anodized or coated extruded aluminium profile. High performance specular aluminium diffuser. 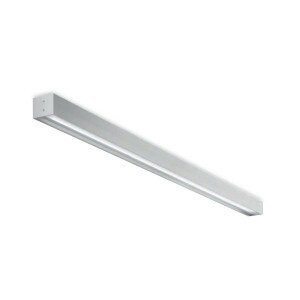 Wall lamp Linear model by 1486 mm lenght. Anodized, satin aluminum body and striped methacrylate diffusers (PMMA). Electronic transformer included. Lamp suitable for corridor lighting. Aussi pour les dispositifs d'urgence. 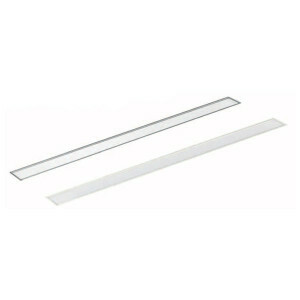 Linear wall lamp measure L (1186 mm). 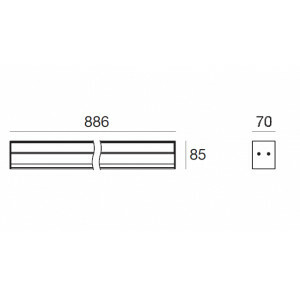 Linear profile for wall application for fluorescent lighitng fixtures. This lamp can be used also for emergency lamp. 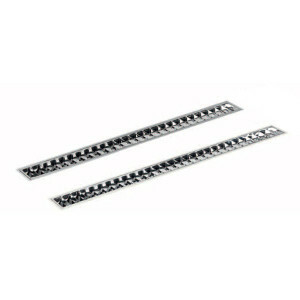 Sale of complete profiles for embedded installation. 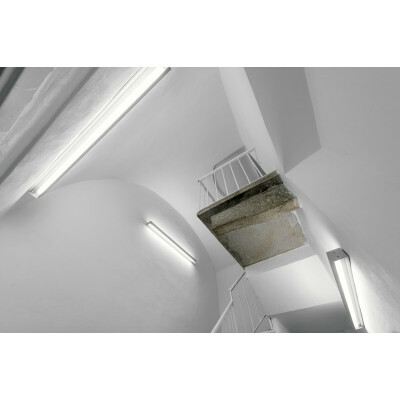 Devices that can be installed on false walls or false ceilings. 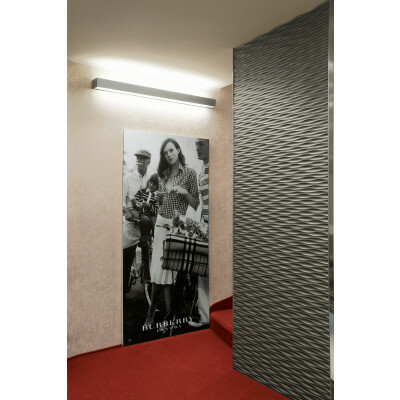 The Mini Outline profile is made of polished or anodized aluminium. The diffuser is made of opal polycarbonate. Available in LED version. 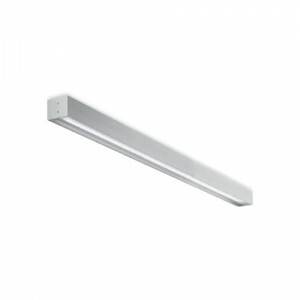 Wall lamp with linear profil for fluorescent lights T16 G5, also for emergency light. Anodized aluminium body.